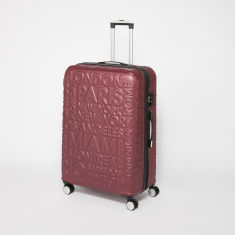 Travel in style by picking this textured trolley bag for your voyages with friends or family. 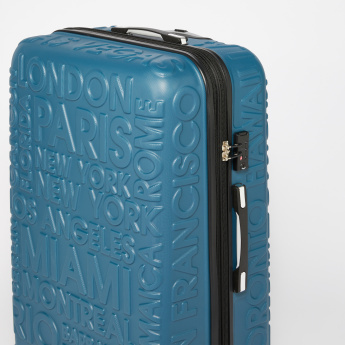 It highlights a hard case ABS body along with four caster wheels and a retractable handle to move the bag around easily. Moreover, the featured combination zip lock secures your valuables throughout the time.